Have you always wanted to know what it's like to be an archaeologist? That's what Community Archaeology is all about! 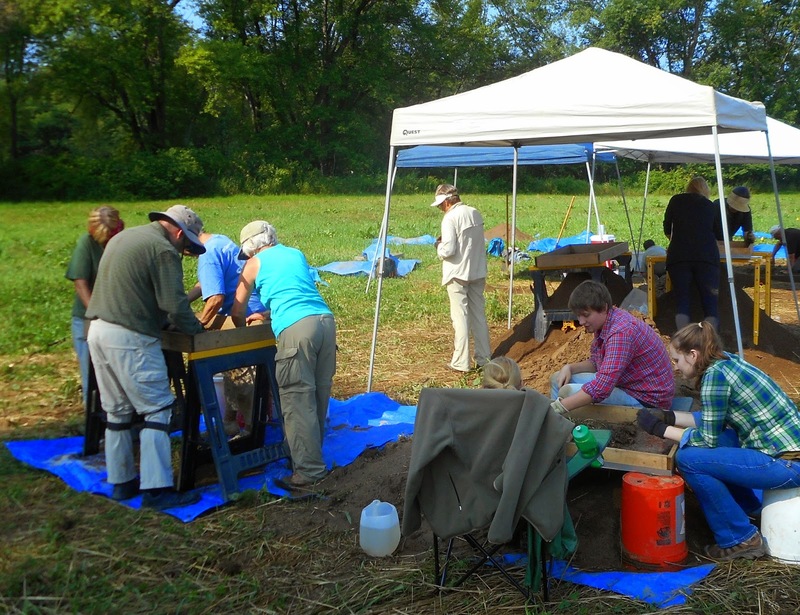 The Allegheny Valley Project is a non-profit Community Archaeology organization that offers the general public the opportunity to learn about and experience archaeology for themselves. We work with local educational and cultural institutions to provide unique volunteer experiences as well as formal educational experiences. Each year we conduct field and lab work in the Allegheny Valley in southwestern New York State, generally from the start of the second week in July and running until the end of the second week in August (6 weeks). While there is some heavy duty shoveling involved, most of the excavation process is low-intensity, with a lot of kneeling. Volunteers can also elect to do paperwork, as a large portion of scientific archaeology is recording. Work in the lab involves cleaning and cataloging artifacts, and some data entry. Volunteers can also help out with outreach programs like Community Archaeology Day. There is something for everyone. Our volunteers have ranged from 11 to 70+ years of age, have traveled from several states, and come from all walks of life. We welcome everyone, but children under the age of 14 must be accompanied by a parent or guardian over 18. If you're local to the Allegheny Valley, you can just show up at the seasonal dig site (locations vary, see main blog page). If you're from afar, or would just like more information on the program, get on our email or regular mailing list (send a request to avp.archaeology@gmail.com). Volunteering for the AVP is free, and we provide all necessary training and tools on site. We do not provide room and board, but for non-locals we can help you plan your trip with recommendations for affordable lodging and dining options. If it's free, who pays for it? We can provide volunteer opportunities with no charge thanks to the generosity of AVP donors, including supporting members, who contribute a minimum of $15 annually. You do not have to be a supporting member to volunteer, though many volunteers chose to be. We also sell t-shirts and other memorabilia at the dig sites, to help us to defray costs. Supporting members get discounts for such items.